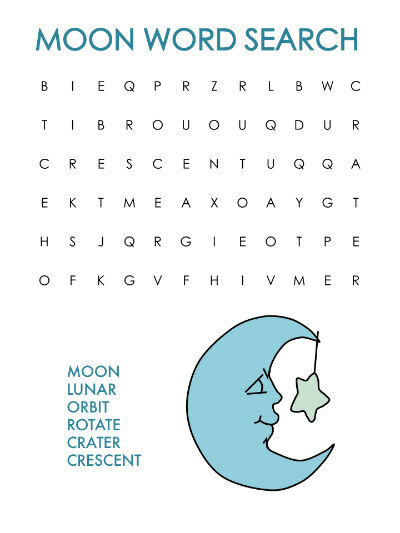 Print out the word search puzzle with words about the moon-- you have a choice between an easy word search for younger children and a more challenging word search for older kids and adults. Encourage the children to find and circle the words listed. I think word searches are a great way to expand and practice vocabulary words and reinforce themes you are studying. As you look for the hidden words, remember that they can be horizontal, vertical, or diagonal—frontward or backward.